JV girls go to overtime - Correction on Varsity boys result - Warrenton wins in stunning upset. Montgomery City, Mo. - (Scores and information provided by Kent Vedder) The JV girls fell short in a thrilling overtime game, 20-19. After one quarter of play New Haven lead 0-2 and went into half time with a five point lead. (7-12) The Rocks went scoreless in the third, clinging to a two point lead, 10-12. At the end of regulation, both teams were knotted up at 16 apiece. It was the Wildcats that came out on top, out scoring the Rocks 4-3 in overtime, for a final score of 20-19. 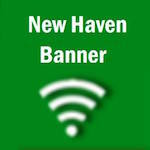 New Haven falls to 5-3, going into Christmas break on a sour note.